Every homeowner faces a plumbing issue at one point or the other. You might have also solved a few of the concerns on your own such as a clogged drain or a worn-out washer. But you might also face some severe issues in your life which will require a professional know-how along with the appropriate tools and devices. So, you have to resort to an experienced and reputed plumbing company for such scenarios. With 90 years of experience in both residential as well as commercial plumbing solutions, Bolton Construction & Services is one of the right options for you. 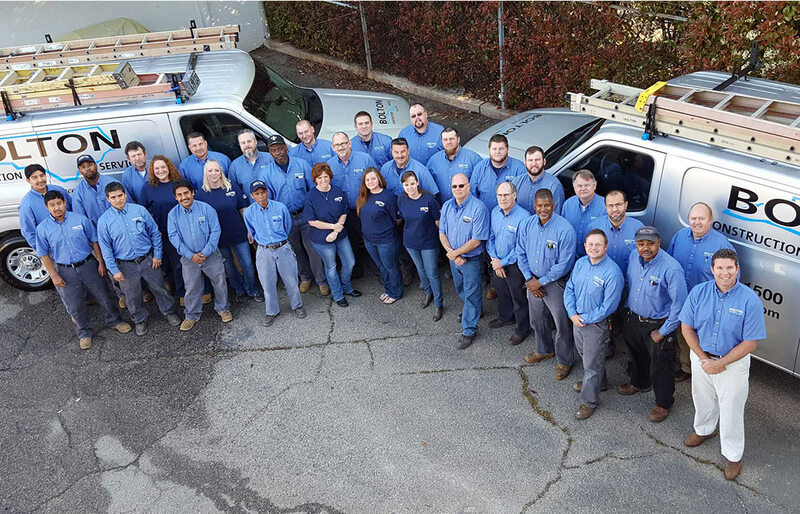 We have a licensed and experienced team of professionals who are well-equipped to take care of all emergency plumbing needs. Moreover, we also have 24-hour emergency plumbers who can quickly respond to any plumbing-related emergency. So, if you are looking for a plumber in areas like Cary or Raleigh, then you can rely on us. Here, we have put together a few common plumbing issues you are most likely to face. Take a look. Dripping faucets is one of the most common yet often overlooked aspects of the home. This kind of dripping from your faucets wastes a lot of water and causes you to pay more for your water bills. So, it is better to get it checked by a plumbing expert. Leakage of pipes is another common plumbing concern, especially during the winter. Most of the pipes start leaking near the joints. You must pay attention to the wet spots on the ground or the ceiling. If water seeps in and starts damaging your home, restoring it can be very expensive. Therefore, calling a plumber for this is necessary. If you are facing similar issues or any other plumbing concern, then you can contact us today.